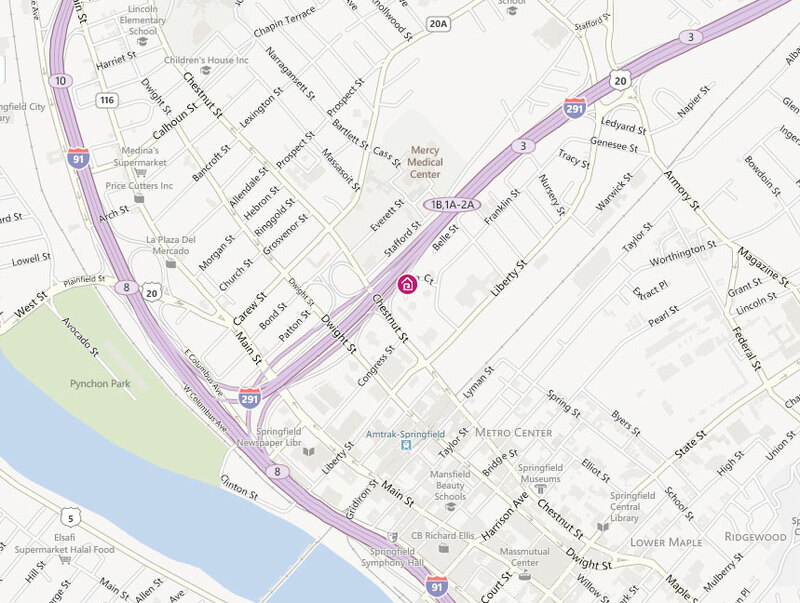 Click the map image for a wider view of the location of our Executive Offices. 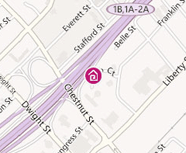 The Springfield Housing Authority (SHA) is Massachusetts’ third largest housing authority. It was established in 1946 after dissolution of the Springfield Defense Housing Committee, established to manage war housing projects located at the present-day Carpe Diem and Riverview housing sites. At that time, the SHA took over management of a total of 492 temporary and permanent war housing units. In 1948, the SHA broke ground on its first public housing development to provide safe, decent, sanitary housing for low-income people. On November 10, 1949, Reed Village reached full occupancy. Today, the SHA has a total of 2,397 traditional public housing units located at twenty-seven sites throughout the city, 240 Massachusetts Rental Vouchers, and 2,733 Housing Choice Vouchers. A $33 million annual budget is derived from rental income and funding from both the Department of Housing and Community Development (DHCD) and Housing and Urban Development (HUD). The SHA is governed by a five-member Board of Commissioners. Four of the members are appointed by the Mayor of the City of Springfield and confirmed by the City Council, and one member is appointed by the Governor of Massachusetts. One member must be an SHA tenant. The SHA Executive Director reports directly to the Board of Commissioners and is responsible for the management and operation of the agency and its personnel. 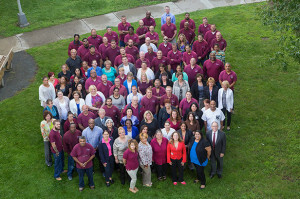 The SHA operates with a staff of over 120 full and part-time employees in the following divisions: Executive, Finance, Property Management, Resident Services, Procurement, Facilities and Capital Improvements, and Public Safety. The staff also consists of temporary employees hired through partnerships established with Roger L. Putnam Vocational/Technical High School, Massachusetts Career Development Institute, Hampden County House of Correction, and the City of Springfield’s Department of Elder Affairs. Provide high-quality, affordable and desirable housing, and to support healthy, drug-free communities both in and surrounding units supported and managed by the SHA. Serve as the city’s housing safety net to the maximum extent possible without sacrificing the health of the community and neighborhood. Design, implement and support educational and vocational programs with the goal of reducing the long-term reliance of residents on public assistance programs. Use established and innovative financial and human resources to ensure that each SHA resident and housing community has the opportunity to achieve his/her/its maximum potential. Promote the integration of public housing within the larger community. Comply with all applicable federal, state and local statutes and regulations. Ensure that all employees are provided with the necessary training and supervision to accomplish their assigned responsibilities in promoting the mission of the SHA.